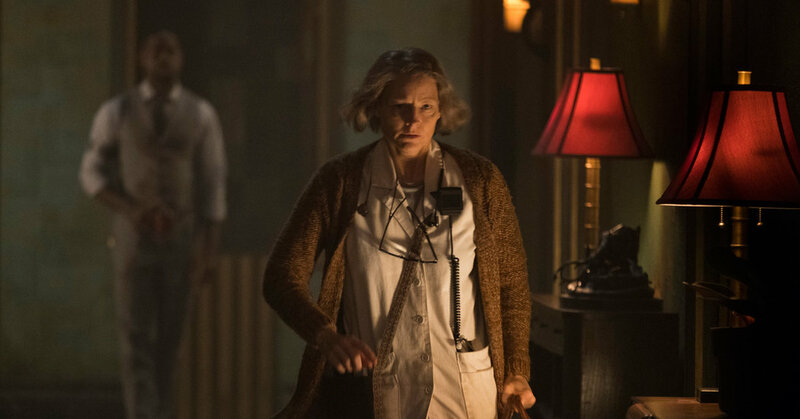 Let’s get the obvious comparison out of the way: the Hotel Artemis is the medical facility version of the Continental Hotel in the John Wick movies. 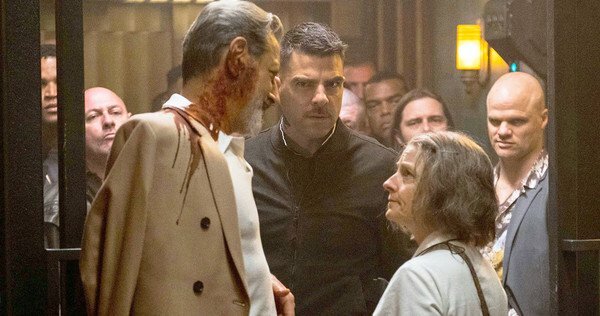 But that’s as far as the comparison goes, because in the self-assured hands of writer/director Drew Pearce, Hotel Artemis is a tribute to an era gone by, a high-tech yet nostalgic shout out to a time when honour amongst thieves actually meant something. By pitching the movie ten years on, Pearce is able to draw a distinction between the growing feudal state of affairs outside the hotel, and the semblance of order that Nurse feels compelled to uphold within the hotel’s walls and its rooms. It’s meant to be a neutral base for everyone, but machinations and plotting abound, and it’s not long before alliances are being forged, threats are being backed up, and an escalating sense of impending violence is allowed to bear fruit. The sense of an era coming to an end, imploding in on itself, is highlighted by the encroaching riot, and the swift descent of the hotel “guests” into murderous anarchy. There are rules, but once they begin to be broken, there’s no difference between inside and outside. 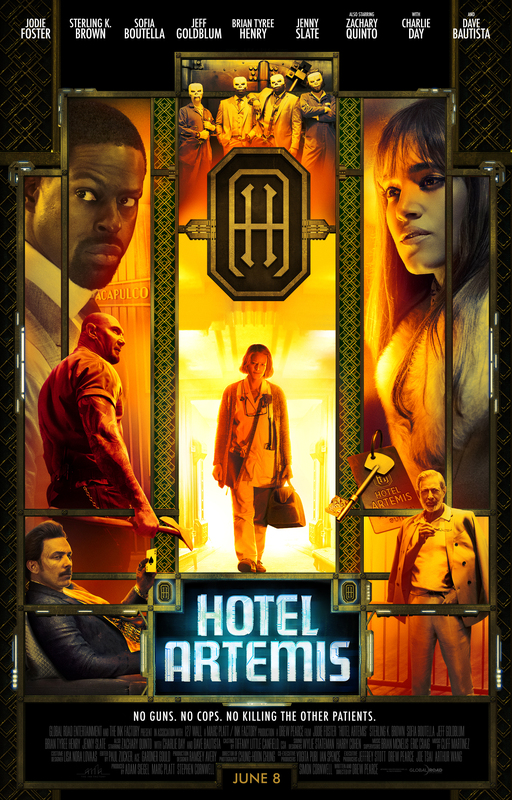 Rating: 8/10 – flecked with nostalgia and a wistful harking back to simpler times, Hotel Artemis is a violent crime thriller that has a surprising amount of heart, and which tells its story with a welcome measure of simplicity; boosted by the detailed backdrop of the hotel itself, it’s a welcome entry into a sub-genre of crime drama that has slowly been cannabalising itself for far too long.